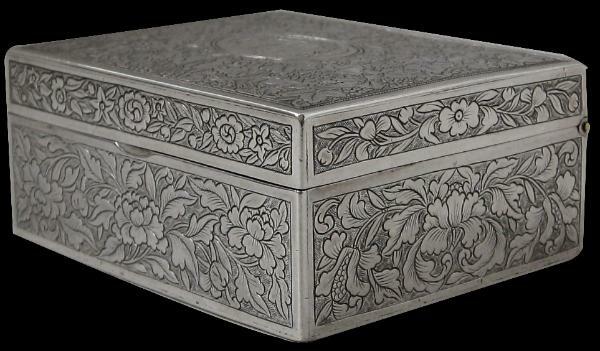 This small silver box is perhaps the finest piece of Chinese export silver we have encountered. 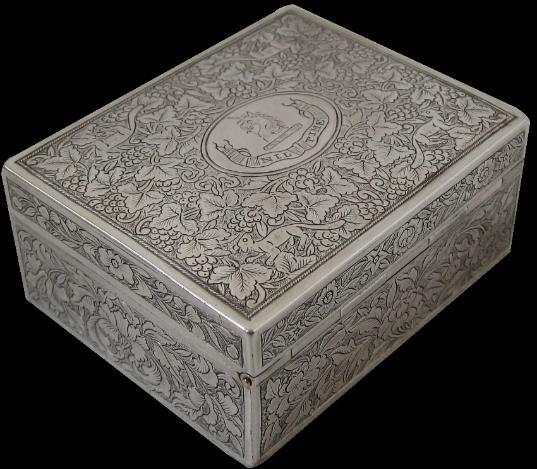 The lid is hinged with an exceptionally fine hinge that is completely flush with the cover and the base. The cover fits to the base perfectly with almost no trace of overlap or gap. 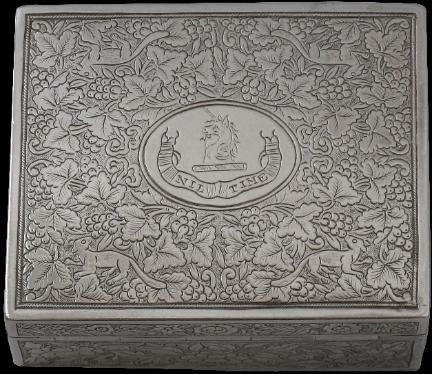 The cover is very finely and profusely engraved with grape leaves, tendrils and bunches of grapes amid which are four delicate long-tailed squirrels. A central oval cartouche shows a unicorn head beneath which is the motto ‘Nil Time’ (‘Fear Nothing’) – the arms for the Man family of Inverness. 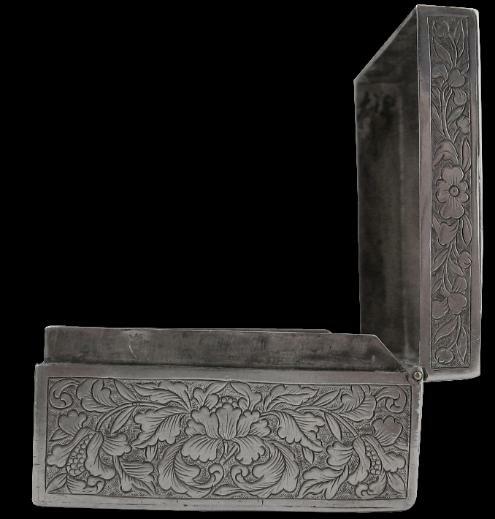 The back and front of the rim of the cover are engraved with chrysanthemum and foliage borders and the sides with plum blossom and foliage borders. 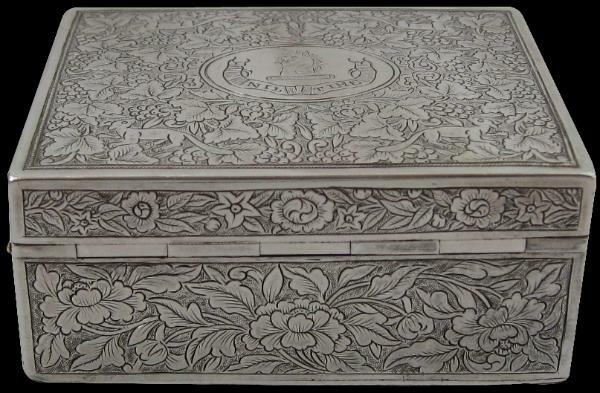 Each side of the base is engraved with elaborate panels of peony blooms and foliage. 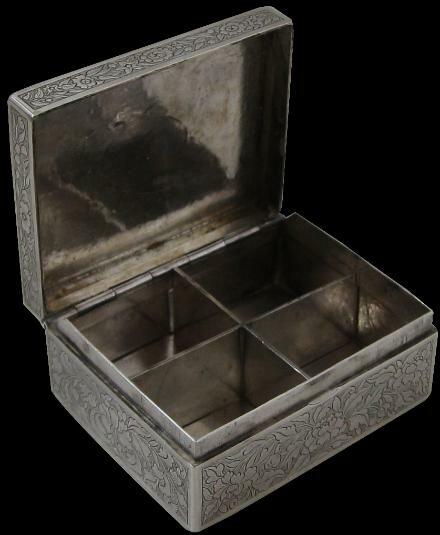 The interior has a removable silver divider that divides the box into four compartments perhaps for snuff or spices as part of a gentleman’s travelling eating kit. 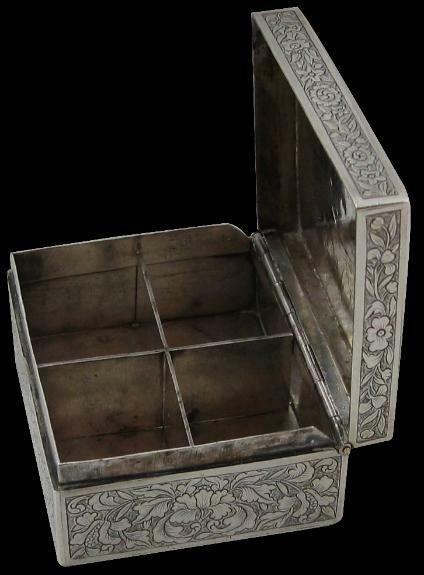 Overall, this is an early, rare and exceptionally fine example of Chinese export silver.